On September 5, 1937 the city of Llanes collapsed in the Spanish nationalists of Franco hands, nth of a long series of military triumph corroborated by the German Air Force. Germany a few years before was a power hit by the effects of the WWI, but the occupation before in Renania and then the intervention in Spain, gave the opportunity to the German from a side to recapture fully the industrial production, from the other one to test on the field new arms that they are developping in a secret manner. 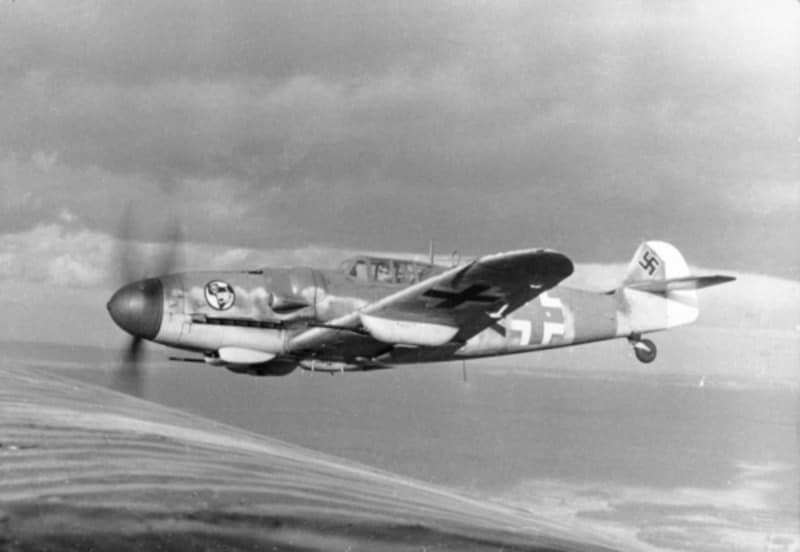 In fact Hitler supported the Spanish decisive deviation sending military contingents, especially air units. Among these the Condor legion, that on April 26 of the same year, upon request by von Richthofen, had given the go-ahead to the terrible bombing of Guernica, inspiration for the famous painting by Picasso. Among the aircraft used by the German there were Henschel HS-123, Junkers Ju 87 "Stuka", Heinkel HE-111 and Messerschimitt BF-109. These last three were very important to give to the German the experience and necessary technology to make Luftwaffe as unbeatable during the first year of the WWII, almost until the battles in UK, where the use of radar and of the English "Spitfire" and "Hurricane" fighters overturn the battle's destiny in the Europe's skies. In addition in Spain the German tested the "Panzer" tanks, that used for their "blitzkrieg" against Poland, where combined use of Air Force and armoured forced the Polish to succumb in only two weeks, in September 1939.